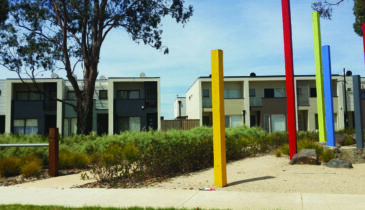 The Victorian Planning Authority (VPA), in consultation with Melton City Council and government agencies, has prepared the Kororoit Precinct Structure Plan (PSP) to guide new urban development in the Kororoit area. This amendment was approved by the Minister for Planning on 1 February 2018. To view a copy of the approved amendment documentation, please click here. The Kororoit PSP area covers approximately 925 hectares of land, bounded by Taylors Road and the Plumpton PSP area to the north, Caroline Springs to the east, the Western Freeway to the south, and the Outer Metropolitan Ring (OMR) reservation and approved Rockbank North PSP to the west. The Kororoit PSP will ultimately provide over 2,100 jobs and support a residential community of around 25,875 people in approximately 9,200 dwellings. Kororoit PSP 1080.2 (Part 2) comprises the proposed Kororoit Regional Park area. The Kororoit PSP 1080.2 (Part 2) will proceed as a separate planning scheme amendment later in 2016 following separate landowner consultation and once the proposed park boundary and land acquisition process are finalised. Amendment C197 to the Melton Planning Scheme introduced the ‘interim’ Plumpton and Kororoit Infrastructure Contributions Plan (ICP) to align with the new ICP system. This ICP combines both the Plumpton and Kororoit precincts. The ICP system has been revised by the Government to improve the method for securing land for public purposes. On 2 July 2018, the Planning and Environment Amendment (Public Land Contributions) Act 2018 was proclaimed. This Act requires all public land identified in an ICP to be provided as a direct land contribution, thereby removing a monetary contribution (i.e. the existing public land standard levy amount) from the ICP system. The Act also prescribes the method by which the cost of providing all public land is equalised across all landowners with a PSP area. An Interim ICP for Plumpton and Kororoit is required to allow collecting agencies to lawfully collect infrastructure contributions from land owners. The ICP is necessary to deliver all the infrastructure items identified by and required within the Plumpton & Kororoit PSPs. Specifically, the supplementary levy component is included to cover the costs of construction of supplementary ICP transport items. This ICP will have effect on an interim basis and is necessary until such time as an on-going ICP can replace it. The final ICP will follow a normal amendment process, which will be subject to formal exhibition and a panel process if necessary. The VPA has notify affected landowners and council in writing of the estimates of value for affected property owners. The affected landowners are able to make a submission about the valuers report through this process.